The David Clark H10-13X headset has advanced Electronic Noise Cancelling technology that assures an amazingly quiet flight. 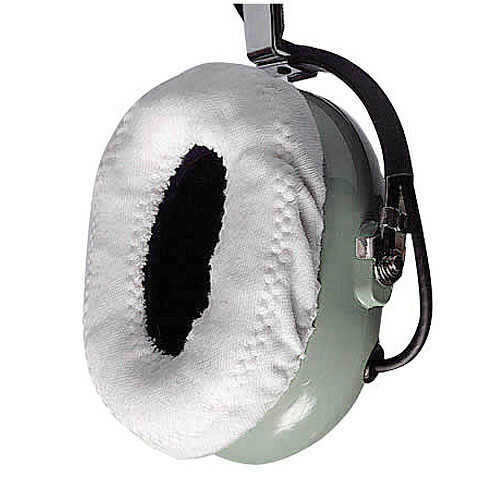 When ENC is active, noise cancellation improves by 12-17 dB. QUIET PERFORMANCE You'll hear and feel the difference immediately. When the ENC is turned ON,noise cancellation actually improves by an additional 12-17dB. That's better protection than any other headset available today. SUPERIOR COMMUNICATION INTELLIGIBILITY The ENC system and our exclusive M-7A noise cancelling electret microphone provide unsurpassed performance and clear, crisp transmission and reception. Stereo compatible for use with stereo intercom and cabin entertainment systems.